The arm was created by Enabling the Future, which has a chapter at Sienna College in Albany, New York. For its first project the Siena e-NABLE group made an Iron Man-themed hand for 5-year-old Jack Carder in Ohio. In this case, nine-year-old Karissa Mitchell's (who was born without a right hand and most of her wrist) mother reached out to the group on campus, Siena College's director of marketing and communications said. "She's watched the movie at least 100 times. We sing the songs all the time. We even have a karaoke machine that's 'Frozen'-themed," said Karissa's mother. The prosthetic was built using a 3-D printer and is comprised of 30 parts (it took near 30 hours to make). To help Karissa achieve her dream of becoming a Disney princess, the team used "a pretty transparent ice blue color filament and added snowflakes to the forearm and her name with an Elsa crown on the cuff," said Alyx Gleason, the project lead and president of Siera e-NABLE. The arm also came with an Olaf LED light source. Anyone who is in need of an arm or hand is encouraged to reach out to Siena e-NABLE. Stanford ran train over Michigan State on Saturday, bringing home an impressive 45-16 Rose Bowl victory. Christian McCaffery put on a heroic performance as the game's star running-back, but the poor kid couldn't catch a break from an adrenaline-charged douche who did everything but grab the fu*king microphone and chuck it through the goalpost during McCaffery's interview. Real-talk bro, GTFO. There's fan, superfan, and whatever the heck that guy in the background was. Don't be that guy. A group of college students had the real-life Professor Snape. His name was Henry Lloyd Snape, and while he didn't wield a wand—far as we know— fawn after Lily Potter, or make a mad magical potion; he did claim his expertise in the field of Chemistry. So, he was pretty much the Half Blood Prince. Check him out, pictured in the center, below. In The Irish Times, the real-life Professor Snape is described as uncannily lenient towards a dark but charismatic disposition, much like the demeanor of Severus as played by Alan Rickman in the 'Harry Potter' flicks. As a final resounding note we'll add that Henry Lloyd taught at Aberystwyth University, an old college building that had Gothic spires and turrets eerily similar to Hogwarts. Nebraska had a disappointing season, ending with a 5-7 record. Husker fans have a lot of feelings about it too. 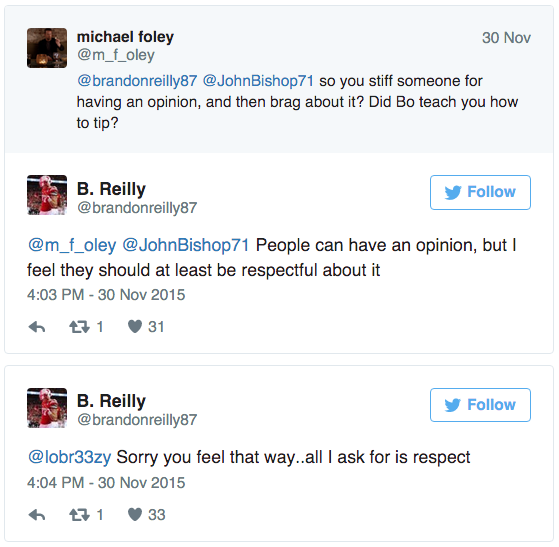 So when Wide Receiver Brandon Reilly went out to eat and encountered a server who wanted to rant about the Huskers, apparently not realizing who was sitting at the table, he decided to leave her that "tip" instead of a monetary one. Reilly ended up pulling down the tweet after responding to some heated tweets about it. Lady Gaga's newest song hopes to bring attention to the assault that one in five young women will face in college this year. She made "Til It Happens to You" for the documentary The Hunting Ground about ** on college campuses. A portion of proceeds from the song's sales will be donated to organizations founded to help survivors. It's a rough watch, but one that mimics the reality of sexual violence on college campuses across the country. That's one way to deal with having your license suspended. 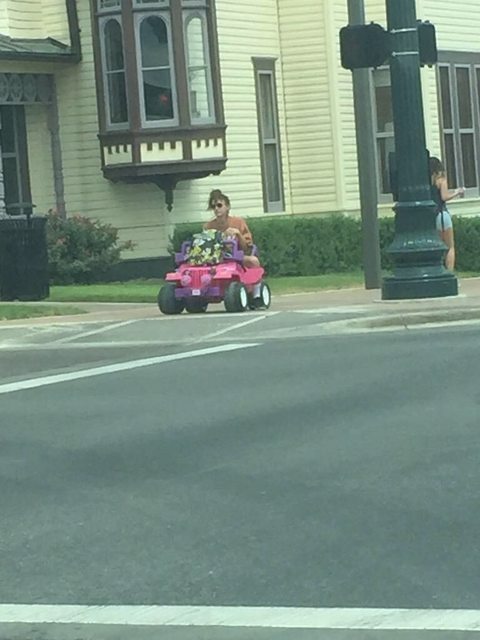 Texas State student Tara Monroe is turning heads and catching the attention of the Internet after deciding to use a very unusual mode of transportation on campus—a hot pink and purple Barbie Jeep. Monroe's license was suspended after refusing a breathalyzer test while leaving a Waka Flocka concert, she told MySA.com. 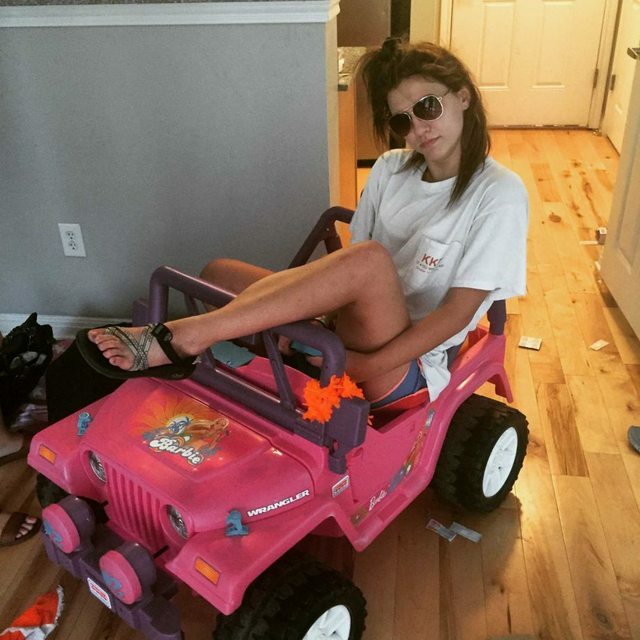 The industrial engineering junior decided to purchase the Barbie Jeep on Craigslist for $60, and she named it after the little girl she bought the jeep from—Charlene. Since Monroe started going around town with Charlene, the college student has become sort of a minor celebrity. Other students post pictures of her on Snapchat and Twitter quite regularly. "This is the best way I could have gotten my 15 minutes of fame," she said. "Basically, it was the best decision I've made in college, yet…"
You could describe this as one epic fail. Irwin Horwitz couldn’t deal with the rude, incompetent students in his Strategic Management class anymore, so he gave them all an “F” and got the F out of there. He sent a nasty email to all of the students, informing them of his decision and calling them out for cheating, making fun of him and just having a general disrespect for the class. He claims one of them even called him a “f-cking moron” to his face. None of you, in my opinion, given the behavior in this class, deserve to pass, or graduate to become an Aggie, as you do not in any way embody the honor that the university holds graduates should have within their personal character. It is thus for these reasons why I am officially walking away from this course. I am frankly and completely disgusted. 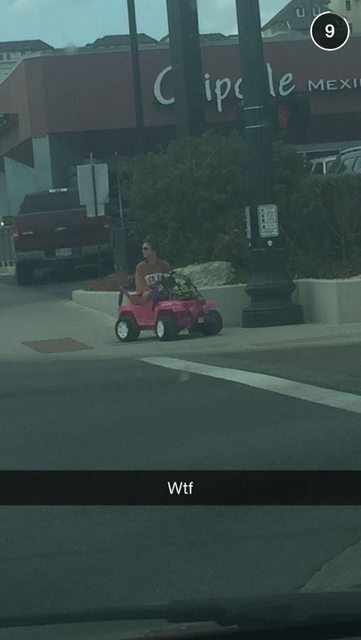 You all lack the honor and maturity to live up to the standards that Texas A&M holds, and the competence and/or desire to do the quality work necessary to pass the course just on a grade level…. I will no longer be teaching the course, and all are being awarded a failing grade. While many of the allegations are being investigated, the school said that their grades will be re-evaluated. “No student who passes the class academically will be failed. That is the only right thing to do,” a spokesperson told Inside Higher Ed. As Chris Berman would say: "WHOOP!" That's the University of Washington's famous library chilling at the bottom of the Washington State University's planner. Better luck next time, Cougars.